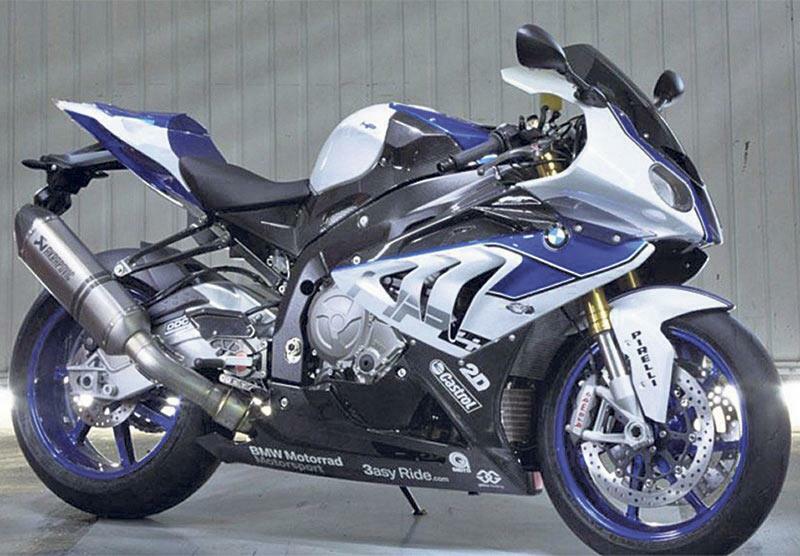 As if the standard S1000RR wasn’t good enough already, BMW have made it even faster, lighter and more technologically-advanced, with this HP4 version. The jewel in the HP4’s crown is the new electronic Dynamic Damping Control (DDC) suspension system, which adjusts the rebound and compression damping as you ride along. It gives the BMW the perfect suspension setting whether you’re on a bumpy back-road or hammering around a smooth racetrack. 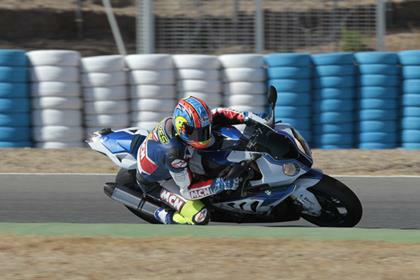 Compared to a fully-spec’d S1000RR the HP4 weighs 9kg less, tipping the scales at 199kg. This saving comes from the use of lighter wheels, battery and various ancillaries - as a result the HP4 steers crisper and with less effort. 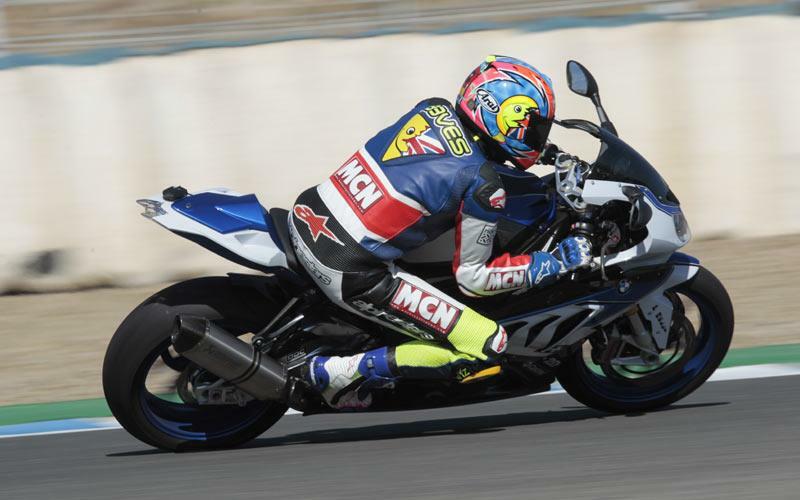 New Monoblic Brembos have more bite and the ABS settings are racier – developed in the German IDM superbike championship. The big improvement to handling comes from the electronic suspension. The suspension is more or less pliable depending on which of the four riding modes you choose, then it adjusts itself depending on the HP4’s road speed, throttle position, lean angle, ABS and TC intervention and rear shock movement. The system is impressive, giving you perfect ride quality, support and control no matter what the conditions. 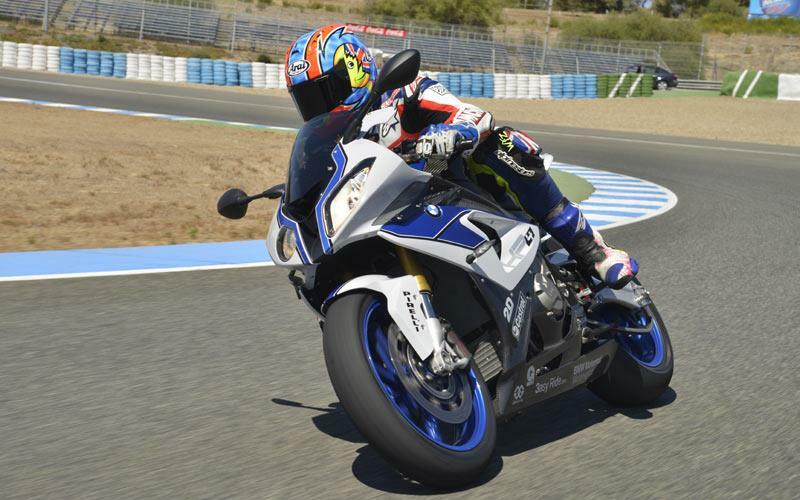 The 193bhp S1000RR is already the most powerful superbike you can buy - the HP4 has the same peak power, but more midrange torque and full power (instead of 163bhp) in its ‘Rain’ riding mode. The throttle response is even smoother than the revised 2012 S1000RR’s and in its ‘Slick’ riding mode, you can now adjust the traction control via a button on the left bar (in 15 increments). The HP4 is beautifully-built and the polished aluminium swingarm is a work of art. Reliability is as good as any Japanese superbike. 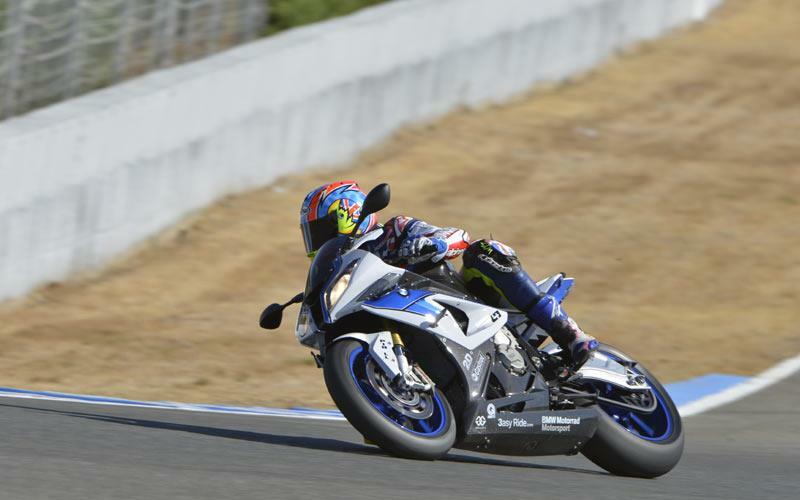 When it comes to power, equipment, electronics, handling and speed, no other superbike comes remotely close to the HP4. When you consider the HP4 is cheaper than the Tricolore version of the Ducati Panigale, it looks to be very good value indeed. As well as the electronic suspension, there’s the new 15-stage traction control system, four riding modes, Brembo Monobloc front calipers, lightweight wheels, racing ABS, quickshifter, 200-section rear Pirelli Diablo Super Corsa SP, mini LEDs, tinted screen and an enclosed bellypan all included in the price. There’s also a ‘Carbon’ HP4 model, with carbon fibre body panels. Frame type Aluminium twin spar frame. Double-sided aluminium swingarm. Rear suspension Electronically-adjustable single rear shock. 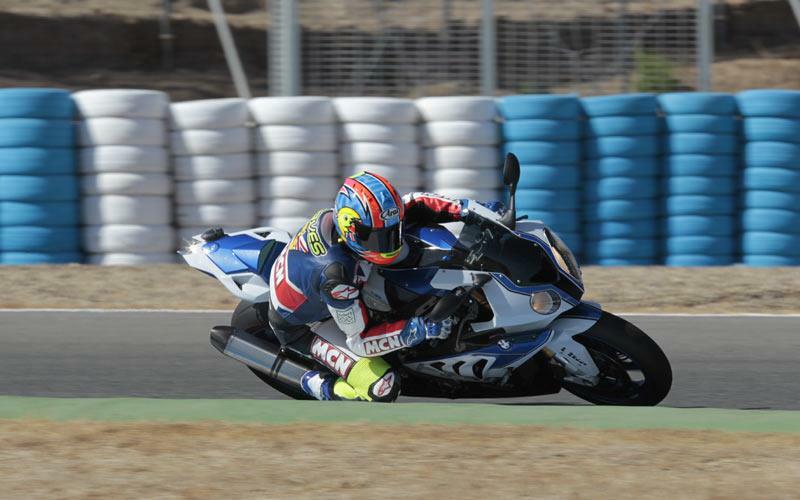 2012 – September: press launch of HP4 in Jerez, Spain. 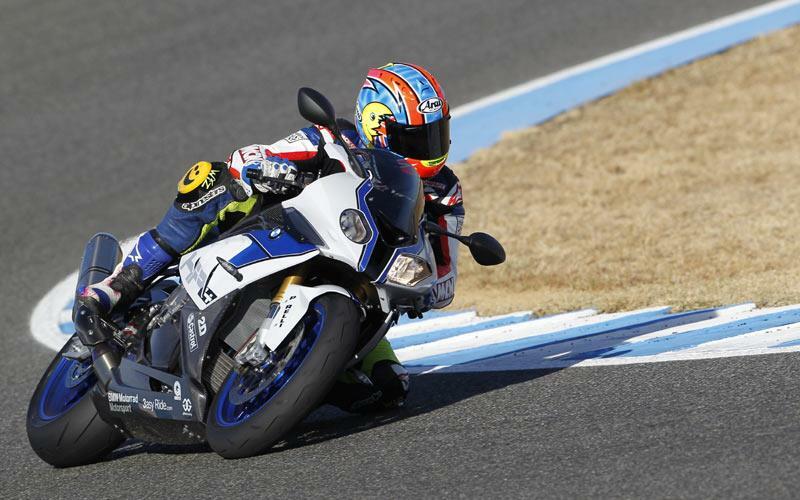 4 owners have reviewed their BMW HP4 (2012-2014) and rated it in a number of areas. Read what they have to say and what they like and dislike about the bike below. Far and away the best bike I've ever owned or ridden. Outrageously fast, but also feels safe and secure. Easy and reasonably comfortable to ride. Need to stop for a stretch after a tank of fuel. One finger for braking. The engine is fantastic. More power than you'll ever need. Never had a single thing go wrong with it. Maybe I've just been lucky?? Reasonable for service costs. Especially compared to an MV F4 that I had in the past. The quality of all the parts is superb. As it's the Carbon Edition it has lots of lovely Carbon bits, beautiful levers and rearsets. Bought from a main dealer. No issues. Beautifully put together, fairing and associated carbon and plastics are solid. Stunning looking head turning machine, the Blue/white and carbon parts are perfect. Handling and brakes are as good as you'll get, two finger on the front brake lever are all you need. Photographs don't do it justice. Worst features..I don't like the longish can, swapped it for a much shorter 3 inch Delkevic open can...can't think of anything else so far. DDC makes it easy, hop on and the bike educates the suspension to your riding style, no need to set anything up. How long can it be ridden before you need a break? Running out of gas or a pee break. Not as smooth as RR 8 Blade onwards, mid range suffers slightly, hit the upper quartile and you better hang on, 9.5k and upwards it's mental. German engineering nothing to add really. Everything you will ever need, no gimmicks, essential features designed to keep you safe and upright. Purchased from Dealer, positive experience. Maybe I'm just lucky. Had a 2010 S1000RR and never had a thing go wrong with it. Just upgraded to the HP4, and impossibly, it's better in nearly every respect. The handling is even sharper, the mid range even harder, the suspension - well, I thought it would be sales hype, but what a difference. Open it up, and it literally tkes my breath away (and that's just in Sport /Race. . . haven't graduated to 'Slick' yet). Best bike I have ever owned, by some distance - and heated grips too!